There has been a lot of discussion and a lot of fear among photographers regarding potential orphan works legislation. A major problem with current copyright law is that it does not provide a way to use a creative work that has been abandoned (no entity can be found to claim ownership). 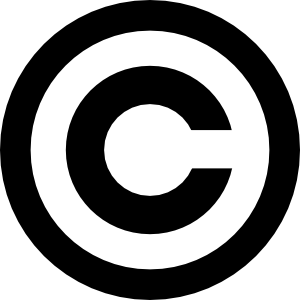 The premise behind an “orphan works” addition to copyright law is that it would provide a means for anyone to make use of copyrighted material that no longer has an owner. It works by limiting damages that can be claimed if the work truly falls under orphan works protection. If a person wants to use a work they must ask permission from the copyright holder just as they do now. Under the current law, if they can’t find the owner they are out of luck. With the orphan works bill in effect, they could use the work after conducting a diligent search and failing to find the copyright owner. Later, if the original owner shows up, he must be paid fair royalties for the use of the work. It does not limit or change Fair Use. This would be a huge boon to the public allowing new use of material that has lain dormant and forgotten for decades due to inflexible copyright restrictions. For example, you’d now be able to make reproductions of vintage family photos even though the original photographer cannot be located. Obviously, a lot depends on how one defines “orphan” and “diligent search.” This has caused some debate among photographers and other artists who worry about corporations making blanket grabs of copyrighted material and claiming they conducted a search. This is mostly irrational fear. As written, that scenario would not pass the test of the “qualifying searches” section of the act which includes a court, following best practices as written by the copyright office, and that the search took place immediately prior to use. Of special note: the lack of any identifying information on the work is not sufficient to meet the standard. You really have to look. The EU is studying the problem (link below). Canada actually has a similar orphan works bill in effect. Since 1990, they’ve issued a grand total of 222 licenses to use orphan works. This is hardly the blatant rights grab that some people fear. You can read the announcement and text of the bills below. And for context I highly recommend reading the US Copyright Office report (linked below) which does a fantastic job of explaining all sides of this issue in plain language. Educate yourself before succumbing to the fear and doubt being cast on this. Please share your opinion in the comments. Survey: Are you for or against orphan works legislation? WASHINGTON (Thursday, April 24, 2008) – Leading members of the Senate and House Judiciary Committees today introduced bipartisan, bicameral legislation to preserve so-called “orphan works” – works that may be protected by copyright, but whose owners cannot be found. Potential users of orphan works often fail to display or use such works out of concern that they may be found liable for statutory damages, amounting to as much as $150,000. Legislation to address those concerns was introduced today in the Senate by Judiciary Committee Chairman Patrick Leahy (D-Vt.) and Sen. Orrin Hatch (R-Utah), a senior member and former chairman of the panel, and in the House by Rep. Howard Berman (D-Calif.), chairman of the House Judiciary Committee’s Subcommittee on Courts, the Internet, and Intellectual Property and Rep. Lamar Smith (R-Texas), ranking member of the House Judiciary Committee. The bill is co-sponsored in the House by Judiciary Committee Chairman John Conyers (D-Mich.) and Rep. Howard Coble (R-N.C.) The legislation would enable users to exhibit orphan works if, after a thorough, documented search, the copyright owners are unable to be located. The legislation outlines the criteria for such a search, and provides for court review to determine if a search has been adequate and done in good faith. If the copyright owner later emerges, the user must pay reasonable compensation to the owner. The bill also includes provisions to further protect owners of these orphaned copyrights, should any user exhibit bad faith. Leahy, Hatch, Berman and Smith have longstanding interests in intellectual property issues, and have introduced copyright legislation in the 110th Congress, including a bipartisan, bicameral bill to reform the patent system.